Written during a period of intense persecution under the Roman emperor Nero in 64-68 B.C., Mark offers an urgent message for a community in crisis. With its fast start (“Beginning the Gospel of Jesus Christ, Son of God... as it is written in Isaiah the prophet”), Mark hits the ground running, and he doesn’t slow down until the final episode at the end, in which the women who see Jesus’ empty tomb say nothing, for they were terrified." Mark’s Gospel is a clarion call to action. Master story teller, Dr. Bill Creasy, sounds the trumpet! 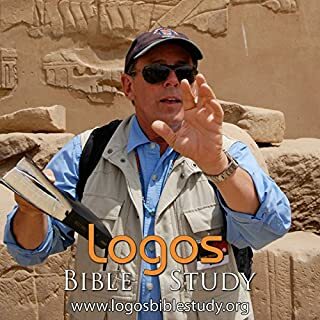 When the exiles return to Jerusalem from the Babylonian captivity in 538 B.C., they begin to rebuild the temple that was destroyed by the Babylonians in 586 B.C. But very quickly resistance arises from the local population - not from military or mob attacks, but from an army of lawyers! 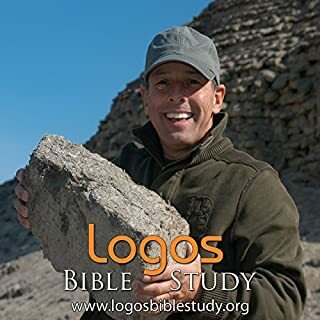 Logos Bible Study presents this informative lecture on the text of the final book of the New Testament, Revelation. The lecturer, Dr. Bill Creasy, is a passionate and knowledgeable biblical scholar as well as an engaging speaker. In his composed voice, he gives clear historical context for this section of the Bible while providing clear explanations for religious and nonreligious listeners, making this audio lecture intellectual but entirely approachable. With his years of experience as a professor, Dr. Creasy has impeccable dramatic pacing and enunciation. This live lesson is a delight for those listeners eager to learn more about this seminal text. In the New Jerusalem “God’s dwelling place is among people, and he will dwell with them.” In the New Jerusalem God will walk with his people in the cool of the day, just as he did with Adam and Eve at the start in the Garden of Eden. In Revelation 21-22 we come full circle. 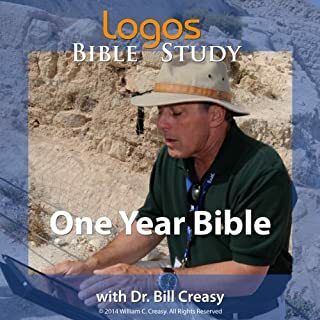 Join Logos Bible Study’s Dr. Bill Creasy as together we bring down the curtain on the story of fallen humanity and celebrate a new beginning, redeemed by God! Dr Creasey makes it clear that he is a Bible teacher not a Bible preacher. As a Bible teacher, he’s very good. 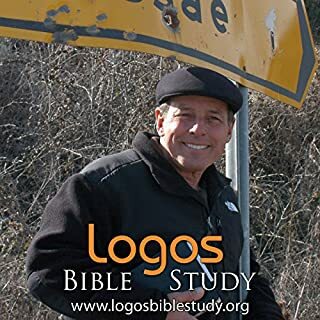 He has a wealth of historical information that he folds into his Bible lectures which is very helpful. This study isn’t going to reveal anything controversial. Having gone through Dr Creasey’s 60hr through the Bible course (highly recommended), I would say there isn’t much more you will get from this study than what is in the two or three lessons at the end of the 60hr course. But, if you’re like me, I enjoy his studies and plan to go through the individual lectures one at a time. As a criticism, I don’t like how he brings in Daunte’s Inferno or the Divine Comedy as additional books to explain Satan or Hell. The Bible is the Word of God everything else is not in the same ballpark. You need to balance this study with Bible teaching at your local Bible believing church. I don’t know if Dr Creasey starts or ends his lectures with prayer and the prayer is removed from this audio, but I would have liked to hear a prayer to bless the teaching as it is critical when you study the Word of God. Have you listened to any of Dr. Bill Creasy’s other performances before? How does this one compare? This is the first book I've listened to by Dr. Bill Creasy and after this I plan on exploring all the books of the bible he did a study on. 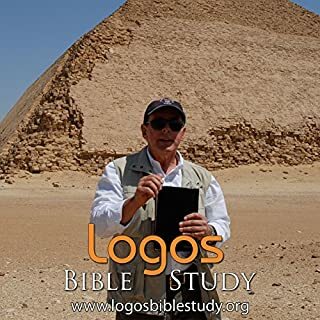 He does an excellent job of explaining and breaking down the symbolism and history of Revelation and lets you know when its a simple literal explanation so you don't get overwhelmed. I have always been overwhelmed by reading Revelation because of the extreme visions and what you should see and expect to happen. I've always been interested in it but somewhat afraid of how to understand it. Dr. Bill Creasy makes it very simple to understand and almost like a light bulb goes off when I'm listening to his explanations. 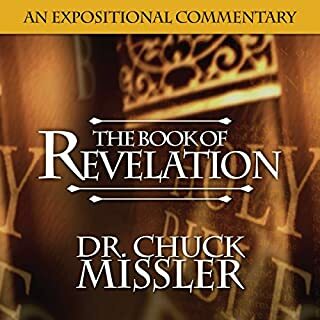 I highly recommend this audiobook to anyone wanting to seriously understand Revelation. Outstanding on so any Levels ! I have listened to this Book three times and I continue to pick new information! Where does Revelation rank among all the audiobooks you’ve listened to so far? 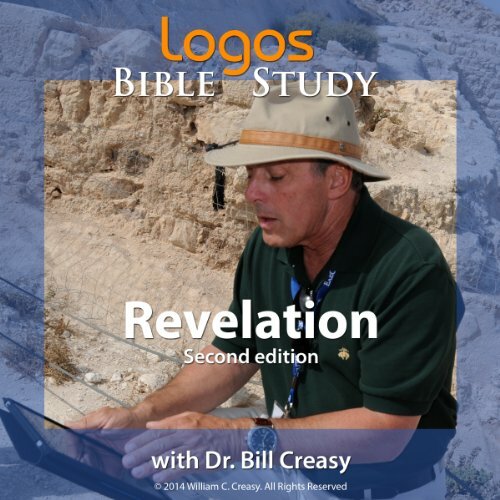 Creasy has said for years that Revelation is perhaps the easiest books of the Bible to understand...provided you've perused the prior 65 books. It may not be that simple, but his ability to cross-reference and interpret are phenomenal. You won't be sorry you have this, and you'll want to hear it again and again. a good account of historical facts, however there is little to no recognition of this book as a future prophecy.... or the explanation of all that is contained within. I loved it! this confusing book was clearly explained. It finally makes sense to me and I can say it was also interesting and entertaining. An entertaining study with the context of the Bible interwoven into an understandable overview of the book that reveals Christ in his second coming. Nobody can break it down like Dr Bill. He knits this complicated book of the New Testament skillfully with references from the Old Testament in an easy to comprehend and fun style.